The Luke Buirski Project is a band started in Singapore and includes members from all over the world (Australia, the States etc.). Luke Buirski, lead vocals and lead guitar, was going to start out as a solo artist but after getting everything sorted out for his solo career, he met his future band members and he states that ‘there was an immediate chemistry’ between them. The 4-track EP gives off a sort of good old rock n’ roll vibe with the prominent riffs from both the lead guitar and the bass guitar (a rarity these days). The EP as a whole is very well thought out, although only 4 tracks long, manages to include the party vibe, the slow song and the one you absolutely rock out to. The first track of the EP, Exotic Demons, starts with a really catchy guitar riff that would catch the attention of nostalgic adults but is still up-tempo enough for the younger crowd. However, what caught my attention the most was the ever-present bass line that flits in and out and over the lead guitar. The bass guitar is often the most overlooked instrument in a band and is often left in the background ‘to fill out the sound a bit more’ so it was completely refreshing and exciting to hear prominent and great use of the bass guitar not only on Exotic Demons but throughout the track. 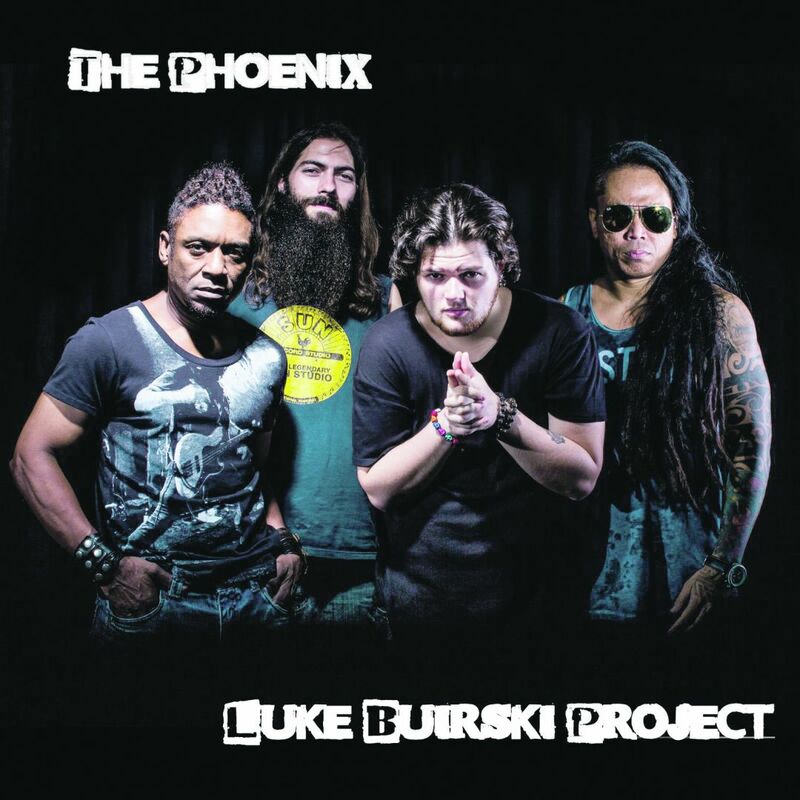 The Luke Buirski Project also consists of a keyboard player and his sound and style on the keyboard really brings a jazzy bluesy mood to the music. In fact, the keyboard paired with a chorus effect in Exotic Demons brings the listener back to the time of Quincy Jones. The only acoustic track on the EP is Wipe the Slate Clean. It brings a much needed moody tone to the EP and rounds it out, showing that the band can pull off serious tracks as well as their usual up tempo ones. However, Wipe the Slate Clean comes right before Go To Girl and the somber mood of Wipe the Slate Clean makes the thumping drum beat of the next track seem so much more lively and upbeat. It is honestly just clever placement. Go To Girl is probably my favourite track on the EP because it’s just so classically rock n’ roll and you can’t help but tap your feet, nod your head and be brought back to the sound of the late 70’s and early 80’s. Buirski’s vocals are a perfect match for this style of music and tie the whole band together. While listening to the whole final track, one cannot help but be vividly reminded of The Romantics. The Luke Buirski project just brings the same energy and fun with their music and I honestly would not mind if their EP was a couple songs longer!